Our Fire District strives to provide fire and life safety education to residents and businesses. Each year, we educate more than 5,000 children and adults on many fire safety topics. Fire Safety Education for your group or event can be requested by completing the form below. 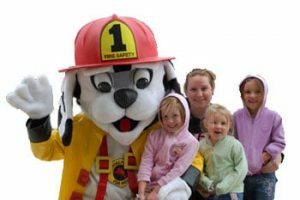 Our fire safety educational programs are tailored to the age range or needs of the group being taught. Preschool, Kindergarten, 1st – 3rd Grade, 4th & 5th Grades, senior citizens and special needs groups comprise the majority of our classes, although adult programs are certainly available. What we do: Fire Truck Tours, Fire Extinguisher Training, Fire Safety Presentations, Fire Station Tours, Severe Weather Preparedness, and more.